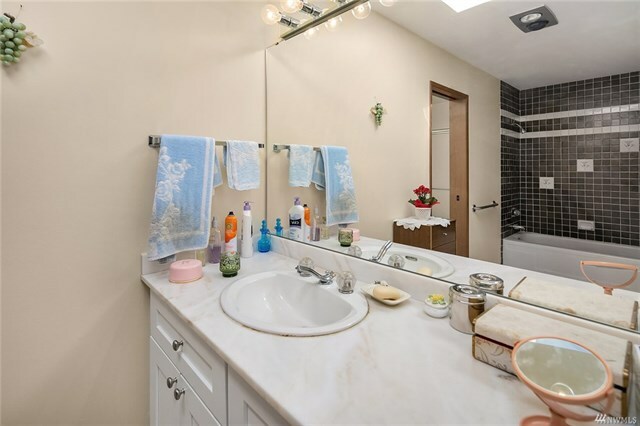 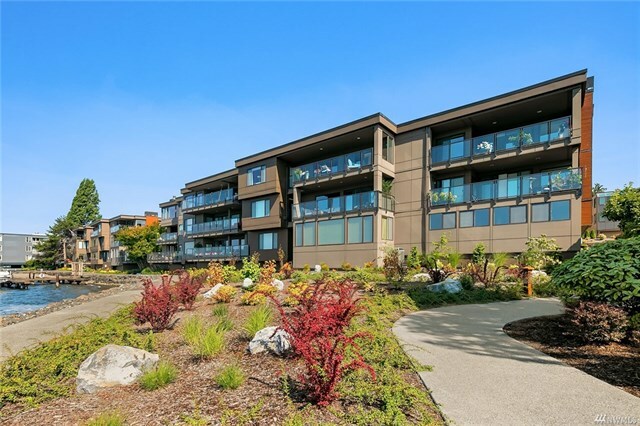 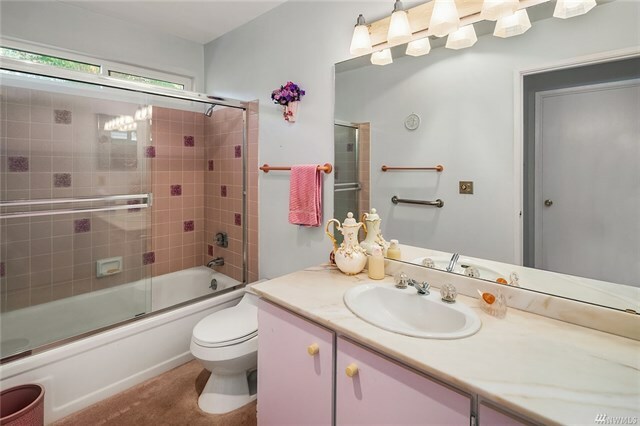 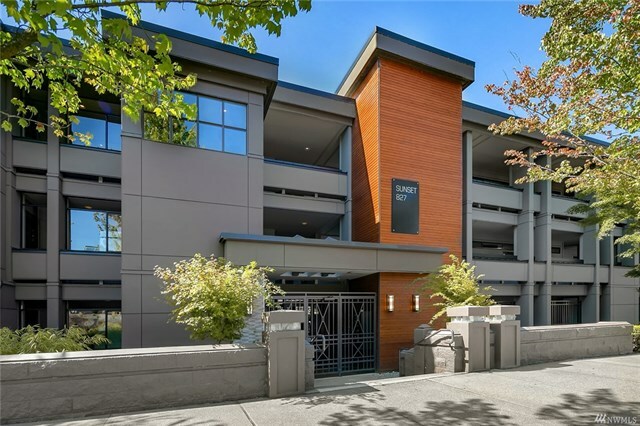 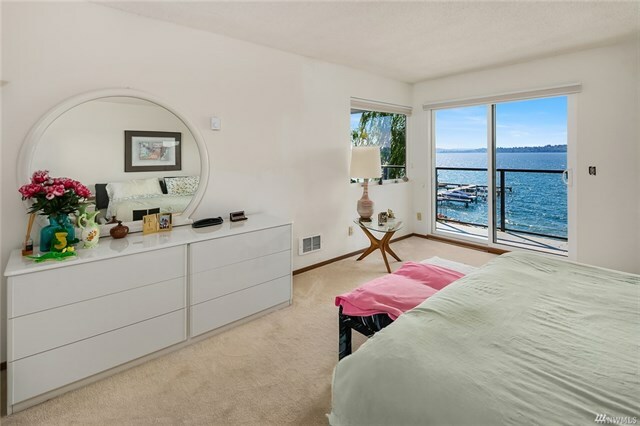 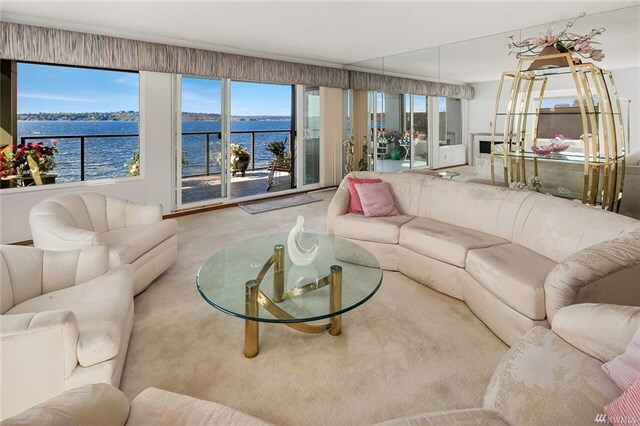 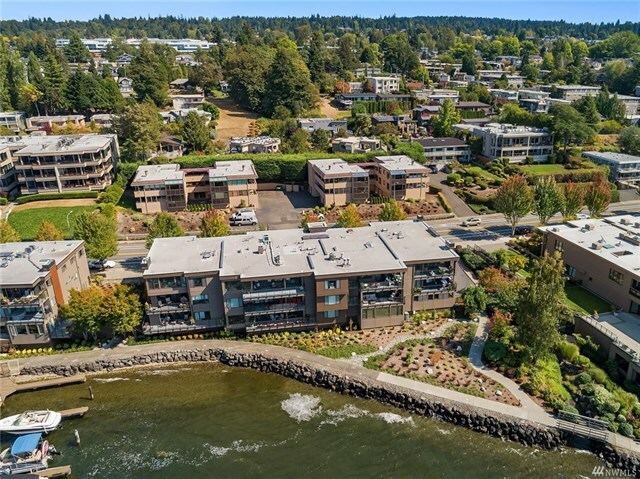 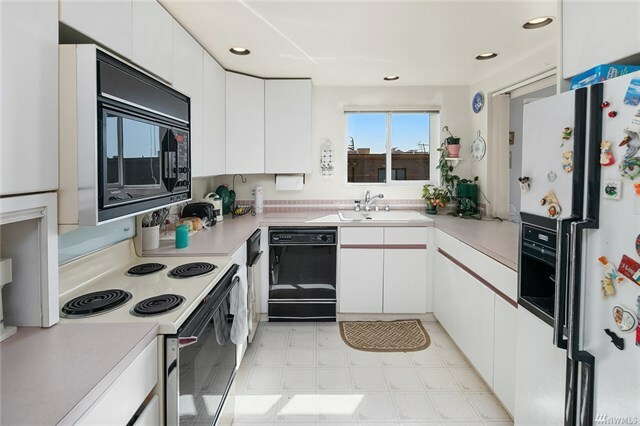 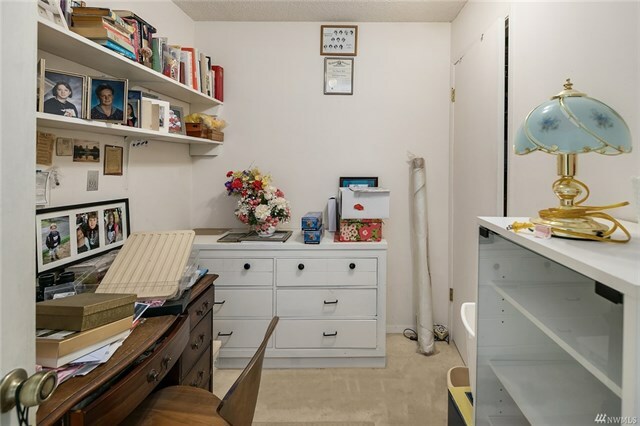 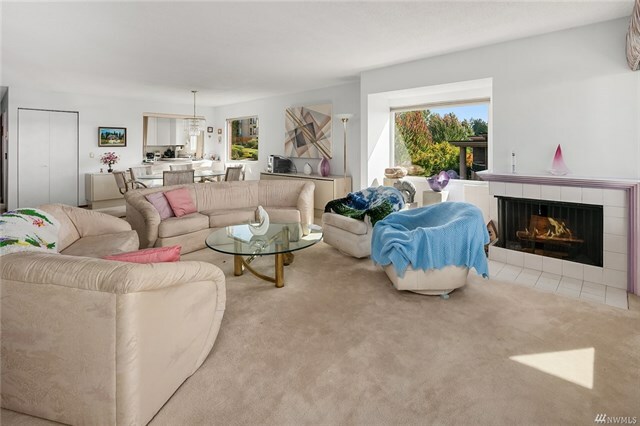 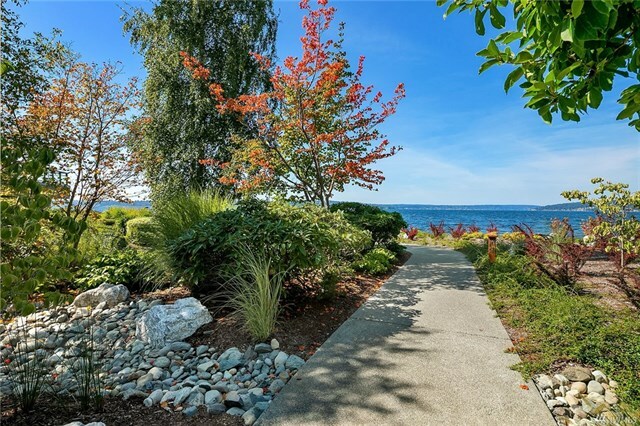 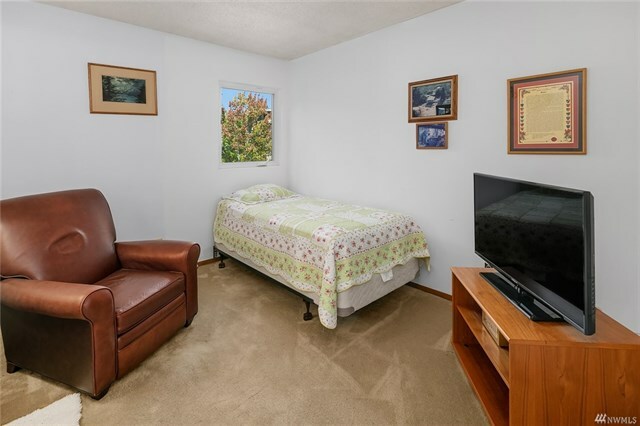 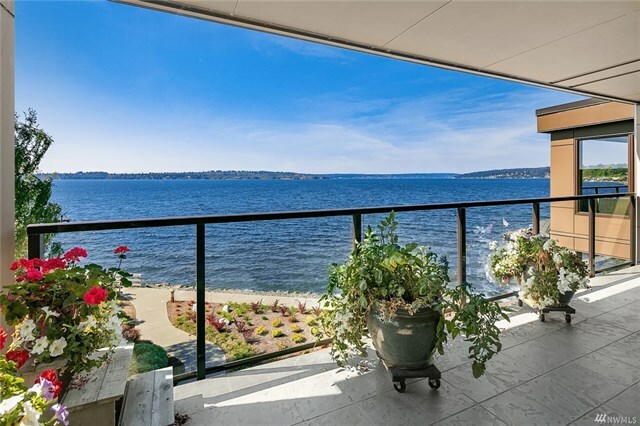 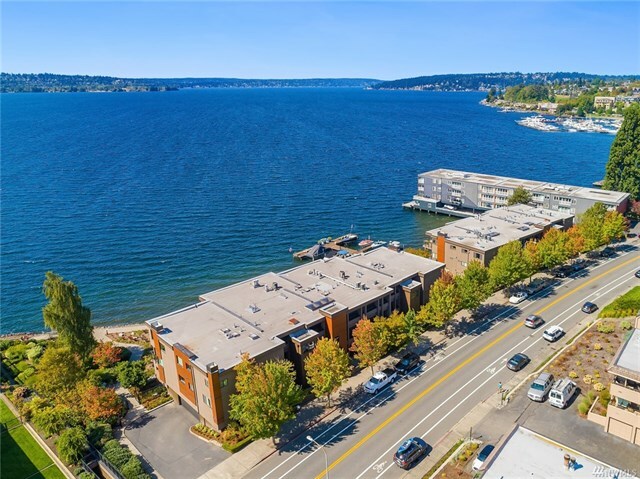 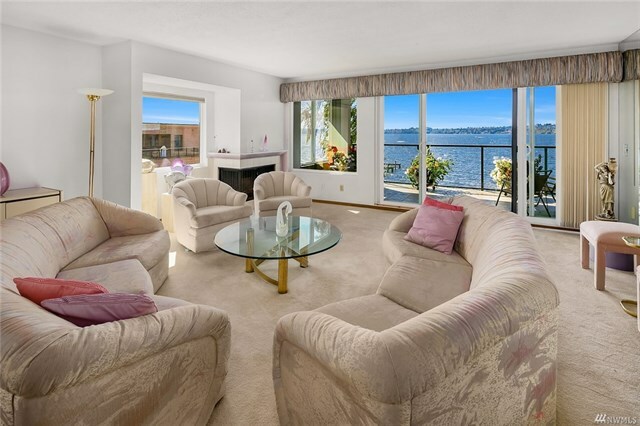 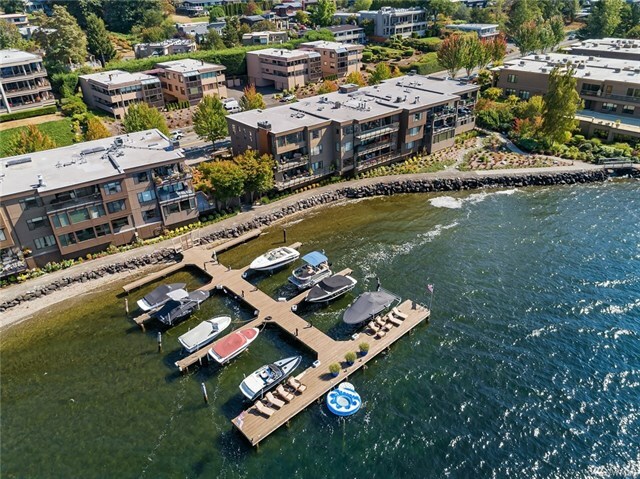 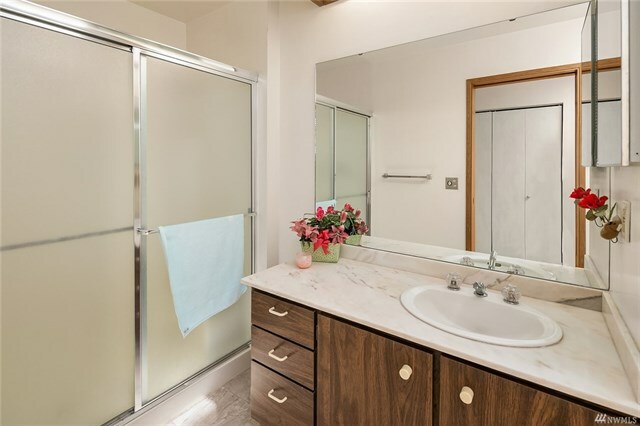 Simply One of a Kind Kirkland Waterfront Condo! 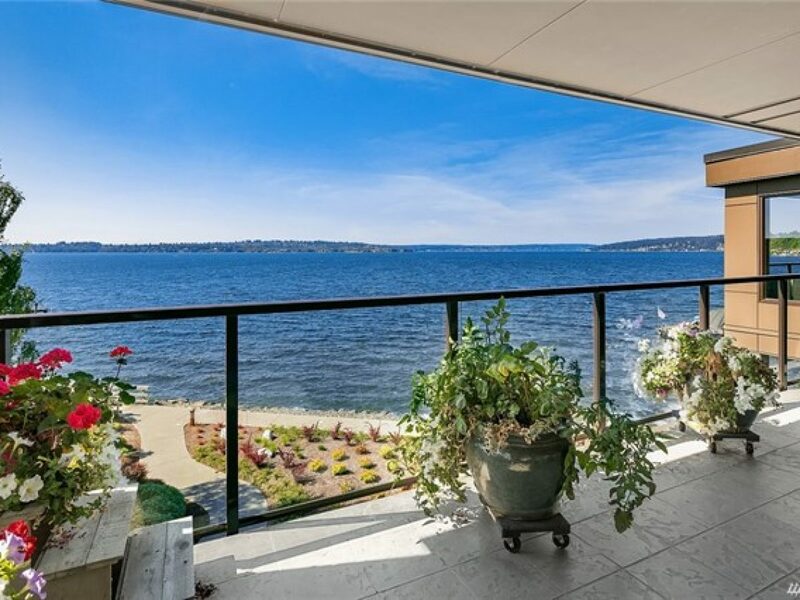 Seattle Skyline, Olympics & BIG Lake Views! 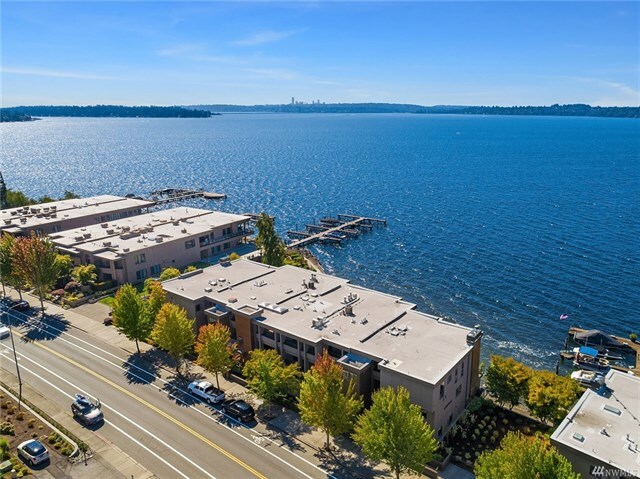 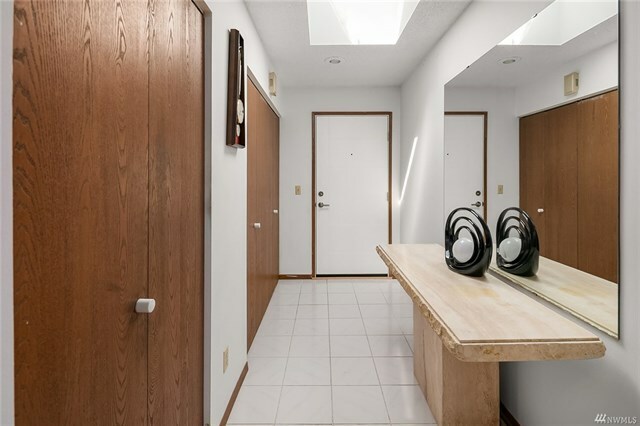 “Pole position” location in Sunset Condos–Top floor, Southwest corner/end unit with OVER 1,700 ASF. 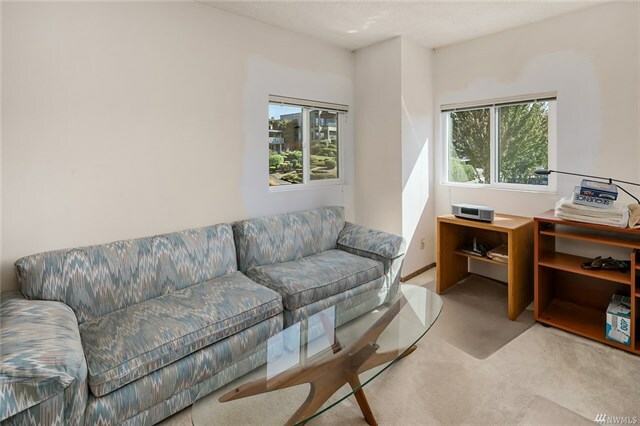 Great floor plan features 2 Bedrooms + Large Office, wood-burning fireplace, large covered lanai for sunset dining (accessed by both master & living room). 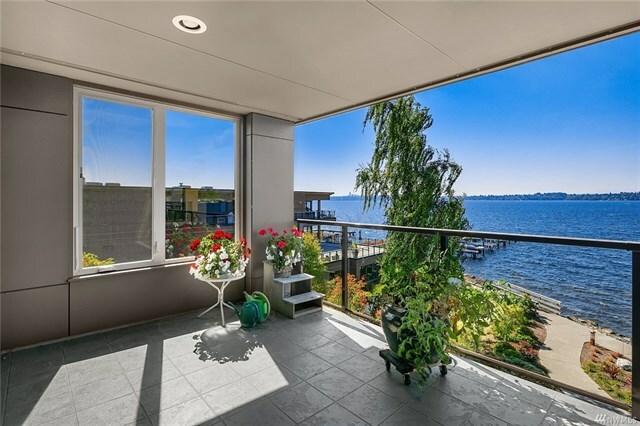 Fabulous recent renovation to exterior: siding, waterproofing system, landscaping, windows, decks, irrigation.